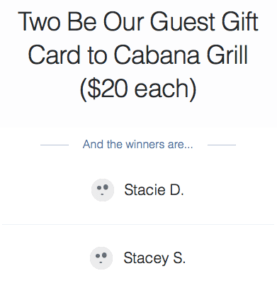 We have come back from Spring Break, happy to announce the winners of our Cabana Grill Be Our Guest Gift Card giveaway! 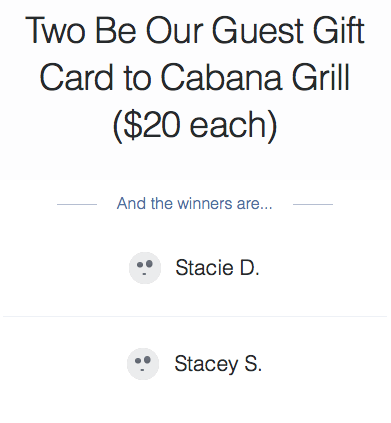 Stacie and Stacey, you will be enjoying some delicious, Mexican-inspired cuisine at one of the area’s newest dining locations! Please contact me at runswithpugs at gmail dot com to claim your prize. Thanks for playing!